One way CPQ (configure-price-quote) software improves sales is by helping to identify buyers for products and services. Before you can sell something, you need to have some understanding of who might buy it. CPQ can help. It’s hard to imagine how a product could be designed, packaged and sold without understanding who would be interested in buying the product. A product configurator forces you to consider those important usage questions in order to properly configure the product delivered in response to the needs of the buyer. Think about it, would “shoes” have ever been invented if humans didn’t have feet? Imagine, trying to sell a pair of Florsheim Imperials® to Flipper. When product design and planning discussions are taking place, it is up to Marketing to make sure this part of the plan is fully evolved, considered and built into the overall product development process. There are way too many failed products that were rolled out with little or no thought of who would actually buy the finished offering. It is important to understand that this is not necessarily a failing of the product; it is a failure in planning and execution of a proper go-to-market strategy. Florsheim Imperials are wonderful shoes. But, in a world without feet, you are not going to get rich selling them. Consider the Chrysler PT Cruiser. This vehicle was brought to market in 2001. By pure accident, the vehicle struck a chord with many markets, and the first-year sales for this car were phenomenal. The following market segments jumped in on year one. Each of these groups saw something different when they looked at the PT. Each expected the PT to evolve toward that special kind of use. Chrysler didn’t understand that. They just saw the gross sales in year one. The problem Chrysler had with the PT was not settling for a target market. Without that, without understanding the needs and motivations of their buyers, they were unable to establish a long-term development or evolutionary path for the vehicle. The result was the PT remained virtually unchanged throughout its nine year active life. Instead, each year featured a cosmetic tweak here or there and fewer sales than the previous year. That kind of information vacuum will kill sales in the B2B world. Sales professionals are understandably reluctant to turn down an opportunity to sell a product. If someone displays an interest, they will be happy to cultivate that interest beyond idle curiosity. Without marketing guidance and support, they will be far more likely to push the practical usage of the product beyond whatever spec the designers had in mind. CPQ can keep that conversation focused. Usage doesn’t expand beyond the capabilities of the product. Not too long ago, someone decided that a popular bath oil product was effective at repelling mosquitoes. Word of mouth aided by social media such as it was, helped spread the word about the repellent properties of this bath oil. The manufacturer was aware of this and doubtless, there was likely some pressure to overtly promote and encourage this use of the product. Think of the liabilities! Mosquitoes carry some very nasty diseases. Using a bath oil to protect one’s self from West Nile or other scourges is foolish. Promoting one’s product as an effective tool to avoid the afflicting insect bites, especially when the only evidence of the product’s efficacy is anecdotal in nature and communicated by word of mouth, is probably criminally negligent. A configurator can quiz users about dry skin, favorite scents and so forth, but it should not ask about insect repellent needs. To do so would imply that that product had some ability that was not there. Sales needs to know who is meant to buy the product. They need to know what the performance limitations are for their products. They need to be provided with tools and collateral that promotes the proper usage of the product being sold. The company was smart enough to use the product name in association with a legitimate bug repellent before marketing it as a bug repellent. They sell bath oil and they also sell beg repellant, but other than sharing a product family name, the two products are substantively different. If the marketing and product design teams have done their homework, much of this confusion can be avoided. Technology such as CPQ and CRM can help. CRM can isolate prospects that meet specific criteria common to the target market such as industrial codes, geography, title, job description and company size. If you have a product that is aimed at electronic devices used in maritime settings, specifically saltwater fishing, CRM can identify commercial fishing operations with a minimal number of employees located in coastal states. 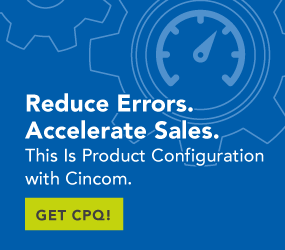 CPQ will help the sales rep configure and price the products. The rep will not be able to move the product outside of its performance envelope because the interview questionnaire will not build invalid configurations of the product. Let’s say our maritime device is a radar system designed to locate schools of saltwater fish. Using the product requires minimal water depths of 20 feet and the large schools of fish. These conditions plus turbidity, speed of any current and salinity all can affect the performance of our product, so it is not useful in any freshwater application. Interview questions must establish the acceptable usage environment in order to build the correct configuration of the product. Responses implying usage in streams, rivers, ponds or for small fish that inhabit murky bodies of water will result in a response that indicates the usage is not valid. It won’t build a product that won’t work. The sales rep cannot oversell the capabilities of the product. You can’t blame a motivated sales rep for trying to get a sale. But, you can’t maintain a selling process that encourages intentionally moving a product that’s not suited to the job in which it is being purchased to accomplish. CPQ keeps sales, product, target market and application aligned.